The baby shower is behind them — but is the relationship all wet? As Rob Kardashian and Blac Chyna near the impending arrival of their bundle of joy, psychotherapist and relationship expert Rhonda Richards-Smith tells Us Weekly exclusively whether the couple are making the right moves toward a happy future. Richards-Smith tells Us that she worries about relationships where the partners don&apos;t get "the support of loved ones," as "romances that occur in isolation are often not sustainable or enjoyable for either partner over the long haul." "Instead of trying to make Kylie feel uncomfortable by posting her phone number, Rob should speak to his sister directly to express his feelings," she says. "Communicating with loved ones via social media regarding intense family and personal issues should be avoided whenever possible." The fact that the Kardashian women were MIA at the shower "may signal that there are still some fences that need to be mended between the two families," Richards-Smith says. "If the Kardashian ladies did not feel ready to attend the baby shower, their absence may have been for the best," the couples counselor continues. 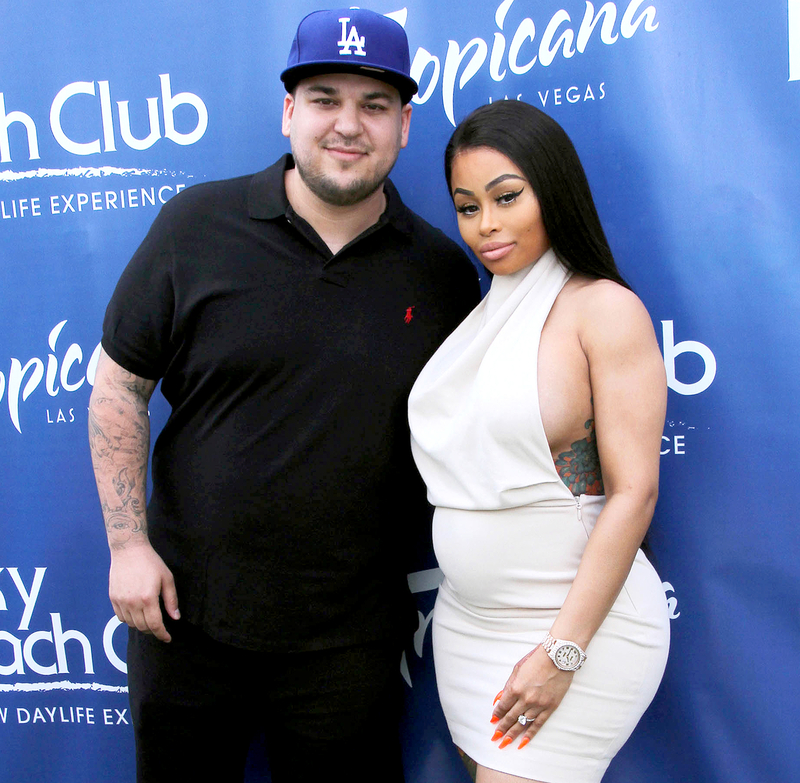 "Forcing the families to interact on such a personal level too soon could have led to explosive consequences, subsequently compromising any progress that has already been made between Rob and Chyna&apos;s families." Several of Rob&apos;s sisters did make appearances on Rob & Chyna&apos;s October 2 episode, including Kim Kardashian, who stopped by to show her brother how to care for a newborn. "Kim&apos;s assistance could be a sign that she is willing to put any concerns she has about Rob&apos;s romance with Chyna aside to preserve their relationship as siblings and her role as an aunt to their unborn child," the expert says. Less promising was Chyna revealing in the episode that she had never met any of Rob&apos;s longtime friends, which Richards-Smith says "would certainly be a red flag under normal circumstances," although Rob himself hadn&apos;t spoken to them in quite some time as he struggled with his weight gain. The expert also posits that Rob is "likely very protective of Chyna and their relationship" and is doing what he can to prevent adding into the fold any preexisting conflicts with his pals. The episode showed Rob saying he wasn&apos;t excited to talk to Tyga, who shares son King Cairo, 3, with ex Chyna. As Richards-Smith puts it, "To say that Chyna and Tyga&apos;s coparenting dynamic is complicated is an understatement. Being clear and direct with one another about the expectations Chyna and Tyga have as coparents for each other, and specifying the roles their individual partners will play in that coparenting plan, should ease any related stress on Rob and Chyna&apos;s relationship." But what is to be made of Chyna tweeting out Rob&apos;s phone number on Thursday, September 29, which the makeup maven said was posted to ensure that he changes his number and prevents previous flings from contacting him? "While many couples focus on developing trust in relation to cheating, the larger issue that plagues some partnerships is whether they can trust that their partner has their back long-term," Richards-Smith says. "Emotions naturally heighten for all involved with the arrival of a baby, so the sooner they can come to a resolution, the better." She adds, regarding the extra difficulty the couple face given that Rob has battled depression, "Loved ones with a spouse suffering from depression should support their partner in seeking treatment from a mental health professional, and provide a safe space for them to express their feelings without judgement." Rob & Chyna airs on E! Sundays at 9 p.m. ET. For more information on Rhonda Richards-Smith, click here.